Fan films just keep on getting better and better. If you enjoy the Killzone series by Guerrilla Games then you are going to seriously love this. It has been created by a group known as Infectious Designer and is directed by Brian Curtin. On previous projects, they never had any form of support from the actual game creators. 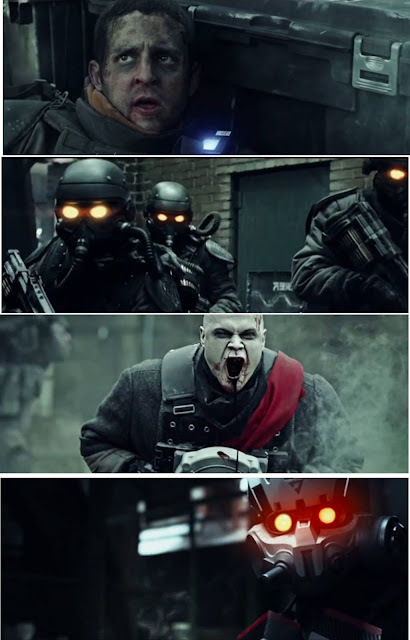 Fortunately, Guerrilla Games gave a huge amount of feedback and recognition for this intense and exciting fan film. To give you some story background, Killzone Intercept occurs during the events of Killzone 3 (which is the fourth instalment of the Killzone series. Visari, the leader of the Helghast is dead, but the conflict is far from over. Helghast forces have mounted a shattering counteroffensive, provoking the ISA (Interplanetary Strategic Alliance) to try and smoke out the evacuation of planet Helghan. A small scout squad is ordered to stall a large group of approaching Helghasts that have a strategy - to cut off the ISA convoy from getting to the extraction point. Outnumbered, the squad takes on the mission with the impossible aim of getting everyone off the planet alive. Enjoy this brilliantly made short movie! It’s amazing to think that it was created by fans but goes to show what independent filmmakers can create these days.